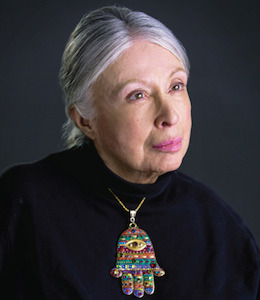 While attending Sarah Lawrence College in the late 1950s, Dr. Anita Silvers held several campus jobs, which were required of every undergraduate at that time as part of the overall student experience. Because Silvers was unable to stand for very long, college officials assigned her work that could be performed while seated. In the kitchen of the dining hall, she peeled and cut vegetables and did other meal preparation tasks. In the library, she sorted and put books onto carts before someone else wheeled them down the aisles for re-shelving. College officials uttered nary a word about Silvers’ wheelchair or the pair of canes she used for navigating stairs, devices that she had used since contracting polio as a child. “I would have been emotionally devastated if they had not assigned me to work like they did the other students,” Silvers says. “This was long before disability rights laws, so it was quite a big deal that the college structured these jobs for me in order to accommodate my needs. I never had to ask them to, nor make a case for it; they just did it on their own. The empowerment cemented her long-held belief that, just as President Franklin D. Roosevelt, arguably the country’s most famous polio patient, could be an effective leader, then so could she. As a San Francisco State University (SFSU) philosophy professor, Silvers has always made it a point to advocate for students and others with disabilities, and to encourage them to do the same. Now completing her 50th year at the university, she is a nationally prominent champion of disability rights. As a young faculty member in the 1970s, Silvers organized and led a contingent of disabled students from institutions throughout what is now the California State University system to the state capital of Sacramento. The students gave testimony to lawmakers about why specific accommodations on campus were necessary. At the time, elevators were not always installed in new university buildings, to avoid the expense. There were too few ramps to accommodate people who used wheelchairs. Computer labs lacked software that would allow blind people and others with significant visual impairments to access the labs. Deaf students were typically steered into courses together because institutions were limiting costs by hiring the fewest number of sign language interpreters possible. “All this was like telling disabled students, ‘You are not worthy of college,’” Silvers says. Thanks to Silvers and the students, the California legislature earmarked state funds to remove architectural barriers from all Cal State campuses that restricted access and to address other needs in classroom and campus facilities to accommodate disabled people. This shaped policies that are still in effect today at the 23 campuses. Meanwhile, Silvers’ research in disability studies from a philosophical perspective over the years has included ethics, bioethics, law, public policy, and antidiscrimination policy. Her books and journal articles have contributed to the interpretation of laws such as the Americans with Disabilities Act of 1990. Silvers has educated at least two generations of students at SFSU. It has become increasingly common for her to teach graduate students who earned their bachelor’s degrees in philosophy at other institutions under the tutelage of tenured faculty who were trained by Silvers. She has twice led SFSU’s philosophy department as its chair, once during the 1980s and again from 2006 through the current academic year. For the past decade, the university’s master’s degree program in philosophy has ranked among the top 10 nationally. Silvers was one of four faculty members from throughout Cal State honored with a Wang Family Excellence Award this year. The annual honor, established in 1998, is named for a former Cal State trustee and his family to recognize outstanding achievements that have had widespread impact. Silvers is using the $20,000 cash award to establish an SFSU scholarship, one of multiple decisions of hers involving prize money that has accompanied a series of academic and research honors. In their nominations of Silvers for the Cal State award, several academicians around the country praised her for making the field of philosophy more welcoming to women and people of color. A deaf, minority, associate professor of philosophy at Gallaudet University credited Silvers with, upon learning about the woman as a graduate student, preparing for her sign language interpretation needs at conferences of professional organizations such as the American Philosophical Association and alerting colleagues to do the same. Meanwhile, a minority doctoral student in philosophy at the State University of New York at Stony Brook credited Silvers for, during the student’s dilemma over whether to pursue a teaching career, laying out exactly what the woman needed to do to contribute to the field. In addition, a visually impaired assistant professor of philosophy at the University of Tennessee noted that Silvers has cultivated and developed thriving, interdisciplinary communities of philosophers, disability scholars and disability advocates. Encouraging early- and mid-career scholars to pick up the mantle is largely why Silvers has maintained a full-time schedule in teaching and research for so many years, rather than retire or even scale down to part time.